If you're looking for competitive car insurance, Chris Knott can help - especially if you are a member of one of the UK's car owners clubs or forums. In fact, we love car club members because car enthusiasts look after their cars and are generally better drivers. So, if you'd like a quote from a company that actually rewards you for careful driving and recognises the time and attention you spend on your car, give Chris Knott Car Insurance a call. We quote over the phone because we get a better feel for you when we talk to you. A better feel = a better deal. And it gives us the opportunity to answer your questions and explain everything in person. Our staff are not incentivised to sell. Instead we encourage them to offer top-quality personal service, sound advice and all the ongoing support you need throughout your time with us. To ensure that you get a crystal-clear quote (no hidden surprises) and the right price/cover combination, you should call us at renewal so our highly-trained insurance experts can help. 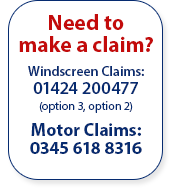 Simply call 0800 917 2274 (also free from mobiles) for your free, no-obligation quote. You'll benefit from sound, impartial advice. And, as we don't use call centres, you'll get to speak to a real insurance expert in the UK every time. We're here to provide all the ongoing support you need throughout the life of your policy. If you need to make a claim, we'll also provide expert assistance so you're not left on your own. Car club members benefit additionally in that we can call on expert advice from within the club to negotiate enhanced settlements where appropriate. Our relationship with your club gives you the assurance that it's not just you we have to answer to. And we make a donation to your club's running costs for every policy taken out by a member. Call us on 0800 917 2274 (also free from mobiles) to find out how much Chris Knott Insurance can save you on your car insurance. Get a quote online for our comprehensive UK Breakdown Cover which provides assistance including HomeStart and a number of extra FREE benefits that are normally excluded. All this from just £63.00 - that's less than 17p per day! Look out for our seasonal discounts when the cover reduces to £58.00. Following a total-loss claim (write-off) our 5-Star Defaqto Return To Invoice/Finance GAP Insurance pays the difference between your motor insurer's settlement figure and either the vehicle's original purchase price or any outstanding finance amount (whichever is greater). To qualify for cover, you'll need to have purchased your car within the last 100 days and it must be under 10 years old with fewer than 100,000 miles on the clock. RTI/Finance GAP starts at just £147 and we can cover vehicles valued upto £180,000. Don't take the dealer's cover until you've checked out ours - we'll probably save you £££s. Specific savings are dependent on your individual circumstances including claims history, postcode, occupation and driving experience. Chris Knott have just halved my insurance! understood and explained in detail. Not only beat my other quotes they smashed my excess as well. Cheap is not always good - its the reassurance they put in the customer service from them which made me go with them today. Martin spent time with me, on more than one occasion, to make sure all was understood and explained in detail. A credit to the company. over £400.00 saved in total... Happy Matty.